Edinburgh is the capital city of Scotland and is absolutely beautiful! 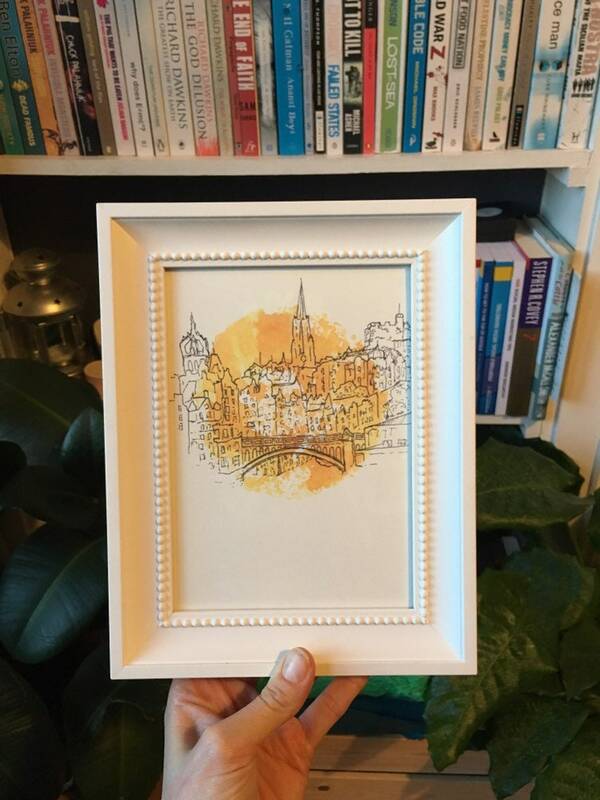 My illustration captures the view of the city from the historic site of Calton Hill, with the peaks of Edinburgh Castle visible in the distance. 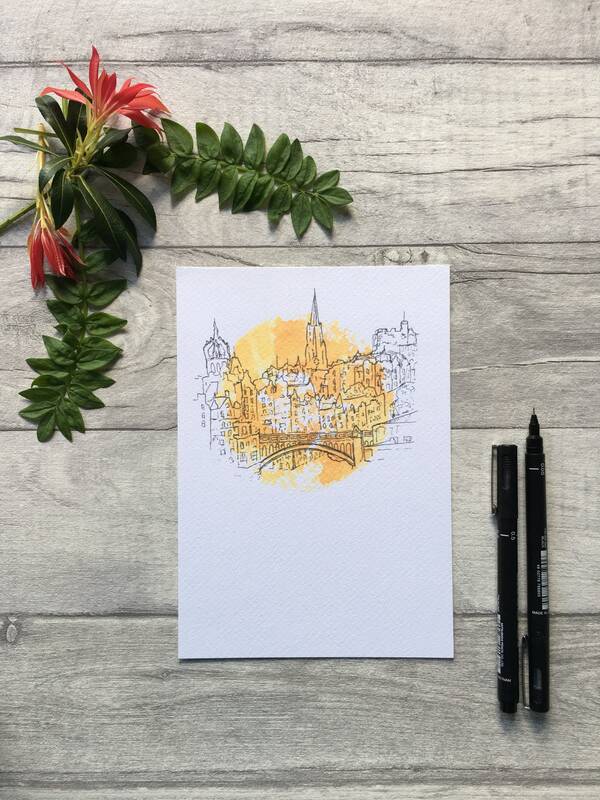 I made this Scottish city scene by sketching with black ink on top of a watercolour, colour pop. 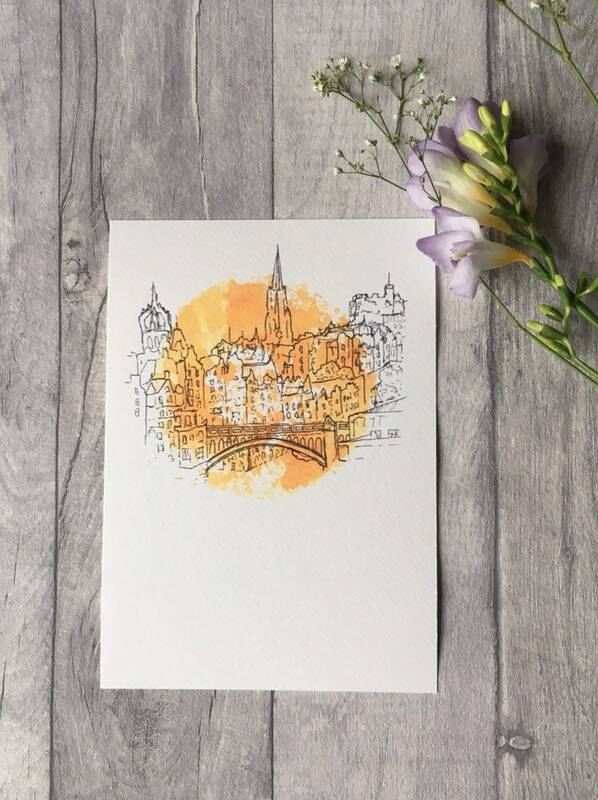 The yellow circle was made using a hand cut stencil and custom stamps. 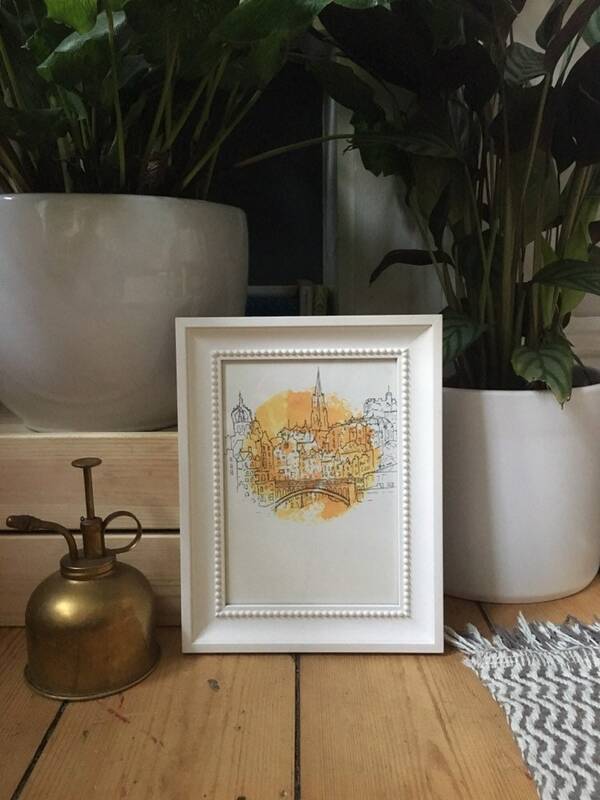 This is a digital print of my original painting. It is currently available as an A5 print. 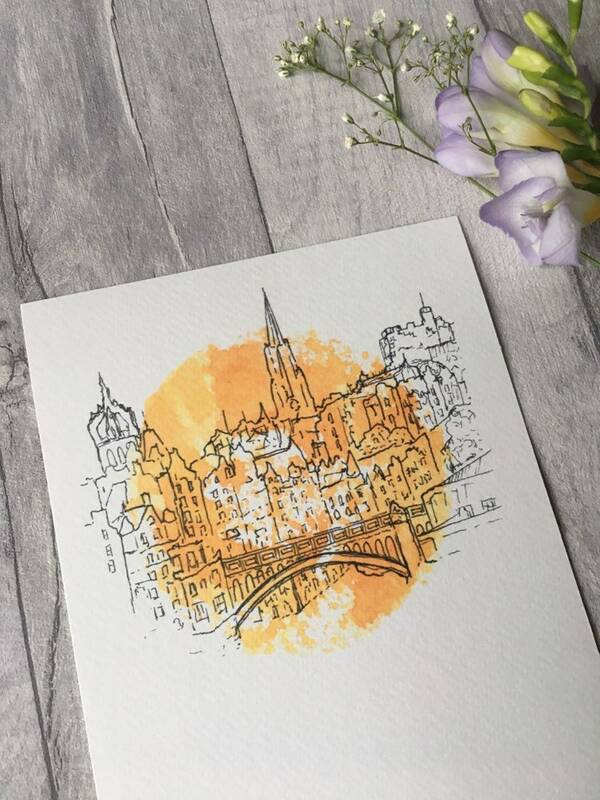 Each print is carefully sealed inside a cellophane packet and kept straight with a piece of greyboard, before being delivered safely to you in a board back envelope.